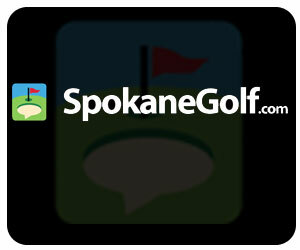 SpokaneGolf.com -Your Guide to the best golf courses in spokane Washington. Painted Hills Golf Course joined the Audubon Cooperative Sanctuary Program in 1995. Our goal is to demonstrate to our community that a quality golf course operation can be environmentally conscious and provide an excellent golfing experience at the same time. This awareness comes naturally since from our inception we were very aware of nature and its impacts on the golf course. We are located within a 100-year flood plain. Since we began the design of the golf course, we were aware of the need for sensitivity to the power and impact of the natural environment within and surrounding the golf course. The course has been fully inundated with flood waters twice in 9 years with no noticeable damage. All but two greens and tee boxes are elevated to provide optimum drainage characteristics within the golf course environment. Our goal as a member of the Audubon Cooperative Sanctuary Program is to better understand our impacts on the environment. We have begun an inventory of our tree-planting and the natural flora and fauna. All decisions on fertilizer and herbicide usage will take into account their impacts on the area. No insecticides are used out on the course area. Most fertilizers used on the course are specifically designed for golf course usage and are slow-release so as to minimize or eliminate any impact on ground or surface waters. Since our conversion of the golf course site from a delapidated abandoned agricultural use, the water quality tests in the adjacent test-well which is monitored by the Spokane County Utilities Department have improved. The ground water is suitable for public consumption without treatment and the Chester Creek water quality monitoring program indicates that the surface waters below the golf course are substantially within the surface water standards of the local agencies. Painted Hills Golf Course supports the adoption of local planning and erosion-control ordinances to help maintain this high quality natural resource. See the links to the Audubon Society and the Cooperative Sanctuary Program for further details.